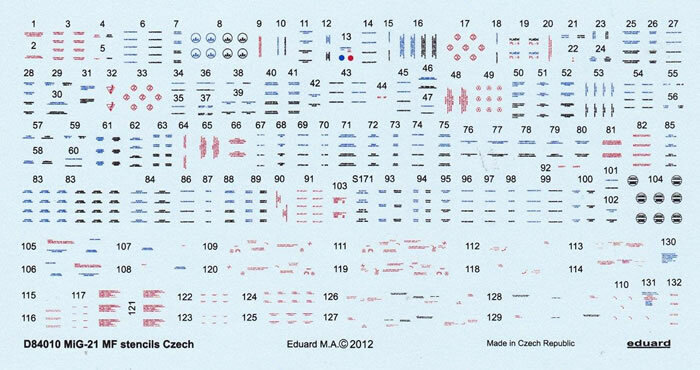 Legible Czech stencils for your Czech aircraft. Minor, but I’d love to see a larger version of the placement guide on the Eduard website so I can see the stencil alignment and orientation on the various panels. A very quick review here tonight. Eduard has begun to release their own range of decals to suit their kits. 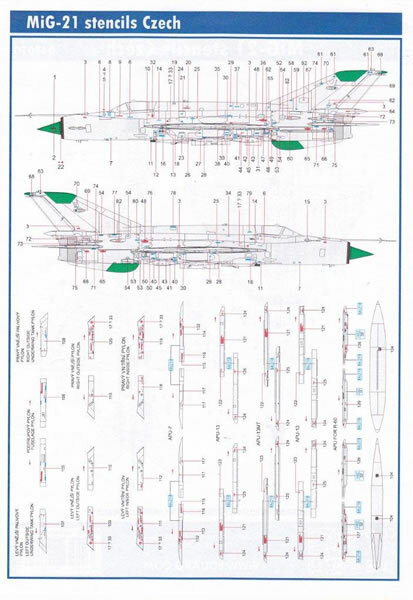 You may have picked up some overtrees or may even want to try these on other 1/48 MiG-21MFs operated by the Czech Air Force. The decal sheet printed by Eduard comes in an A5 zip lock bag with a placement guide, like other Eduard decals look good, with the writing, especially the red and blue being very legible under magnification. You get enough decals for one aircraft with the options of either blue or black decals, (depending on your final aircraft finish) and standard red decals for other areas. If you have the Eduard MiG-21 in Czech service you will notice that these decals are not the same, but a smaller cut down version. 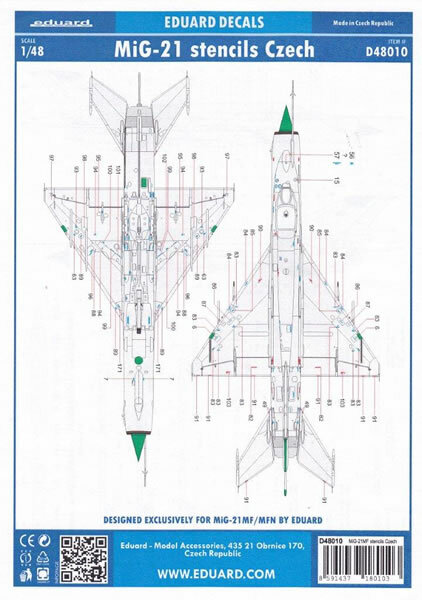 The MiG-21 family are covered in stencils so it’s nice to see another quality product from Eduard that builds on their great MiG-21 family.